Link type 111 Television Camera 225° view. 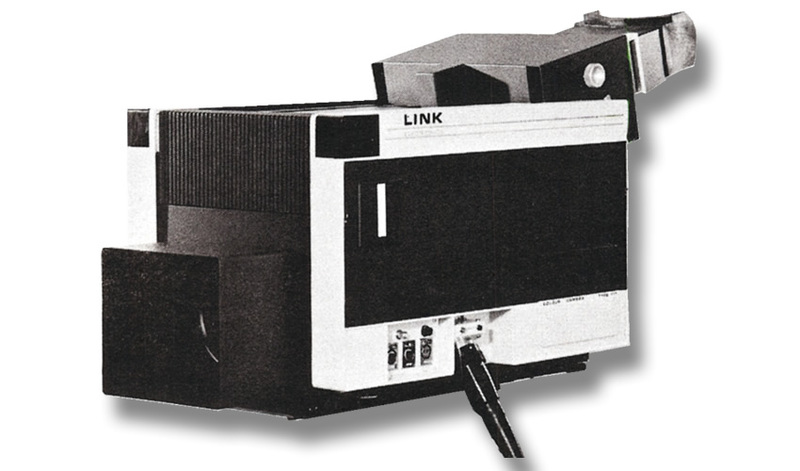 The Link 111 was a low cost version of the Link110 with a reduced feature set. In the "Video Yearbook for 1977" the Link 111 is listed at £12,000 less tubes & lens. In 1981 BT wanted to demonstrate a colour Confravision facility at the Telecom 81 exhibition in Geneva and for this they needed a colour camera. Link supplied a 110 but since the camera was for static use it was fitted with a fixed lens instead of a zoom. Focusing was remote control. Link gave this camera a special number, the 111. Afterwards the camera was bought by one of the technicians. Several Link 111 cameras were made, Bradford museum has one as well. It was a simplified version of the 110, not quite to broadcast standard. There are several PCB's missing inside the camera housing where circuitry has been left out. The CCU is also simpler than that of the 110 but the visble differences are fewer. Whereas on the 110 the lens is a package, on the 111 it is bolted on physically and not removable. Bradford's example has a Varotal zoom, with cable (not servo motor) remote control.